PHENOMENAL BAYFRONT location offering SPECTACULAR VIEWS of the Intra-Coastal Water Way. This 4 bedroom Plus Bonus Room, 2 bath townhouse boosts an OVERSIZED -50 X125 LOT which means an ENORMOUS REAR YARD making it the Perfect oasis for Outside Entertaining. This Large yard has Plenty of room to store your Kayaks, Paddle Boards, tubes and more. 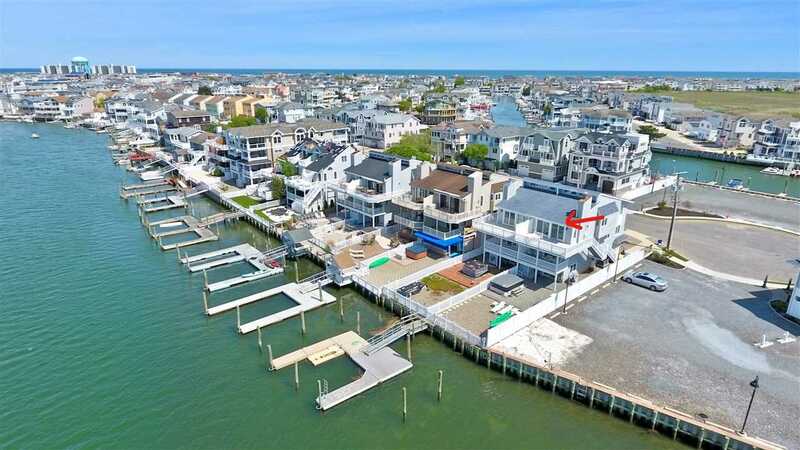 Close to Popular Sea Isle City Yacht Club with excellent Sailing program for family as well as Boating and Kayaking destinations with the Ocean an Easy Boat Ride from this location! This BAYSIDE GEM with open floor plan offers TWO DEEP WATER BOATSLIPS, with room for a 32&apos; Boat, VINYL BULKHEAD AND SUNSET VIEWS from the Living Room and Two Bayside Maintenance free decks with fiberglass and vinyl rails. The ground level BONUS ROOM is conveniently accessible to the BAYSIDE YARD with Hot Tub. Next level has the Master bedroom with bayside private covered deck and Bay Views to Wake up to! Along with two other bedrooms. The top level has CATHEDRAL CEILING Living, Dining and Kitchen all with MAGNIFICIENT WATER VIEWS and leads out to a Large wraparound deck. Upgrades include: 2017 Fiberglass deck refurbishing, 2014 A/C , 2013 Hot water Heater and rugs, 2009 New Roof, Updated Cedar Impressions surround, upgraded bathroom countertops, Stainless Steel Appliances and Rear Yard Pavers. Also GAS FIREPLACE for cool nights and POOL table in Garage. We haven't even mentioned this townhouse is Ideally located. Leave the cars parked and walk into town or visit Sea Isle's Fish Ally for Dinner! Fantastic opportunity to live on the Bay and take advantage of the Excellent Rental this townhouse could boast. View Today!